At the conclusion of 2016, club stalwart Graham Walters will have spent 50 seasons in Black and Gold at the Mayne Tigers. 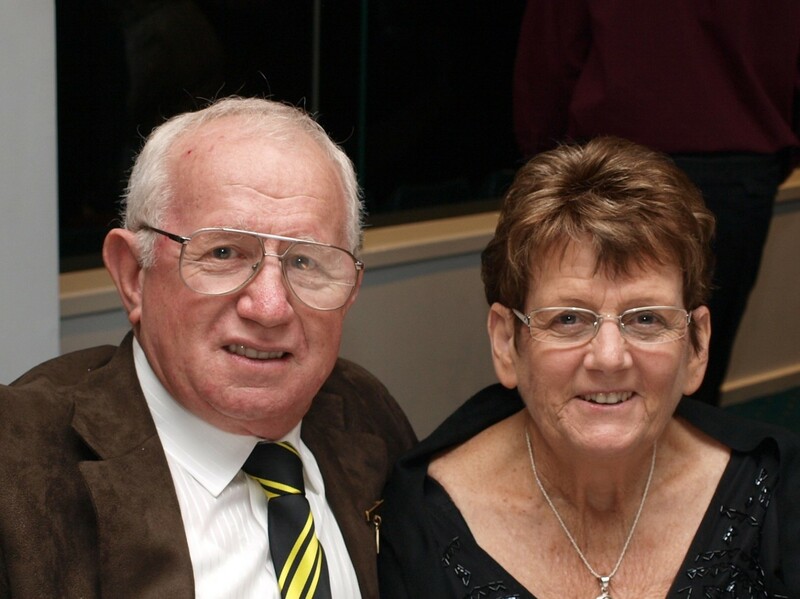 Graham first came to Queensland in 1967 to play for the Tigers and was fortunate to play in a Premiership in that year and was hooked for the rest of his life in the service of a club he loves and considers all who play there part of the family. In addition to having a successful playing career with the club, he has served as President, Committee Member, Board Member of the Mayne Sporting Club and Life Member. Despite the club’s many ups and downs over the time of Graham’s involvement, he has never wavered in his support of the club. Of course, all of this has been made possible by the wonderful support of his wife and life partner Dawn, a relationship also spanning now more than 50 years as well. Graham and Dawn have retired from their business now which has provided more opportunity to enjoy life around the club. Graham now enjoys time working with his old friend Leo Dennis as well as Kev Lingard and the ground crew at Mott Street making sure the oval looks spick and span for the boys. Much to the delight at Tigerland, Graham has now signed on for his 10th year as Patron of the Tigers for 2017, just another milestone for a great Mayne Tiger.